I’m sure you’re all wondering if The Green Hornet is any good. It depends on what you’re looking for. 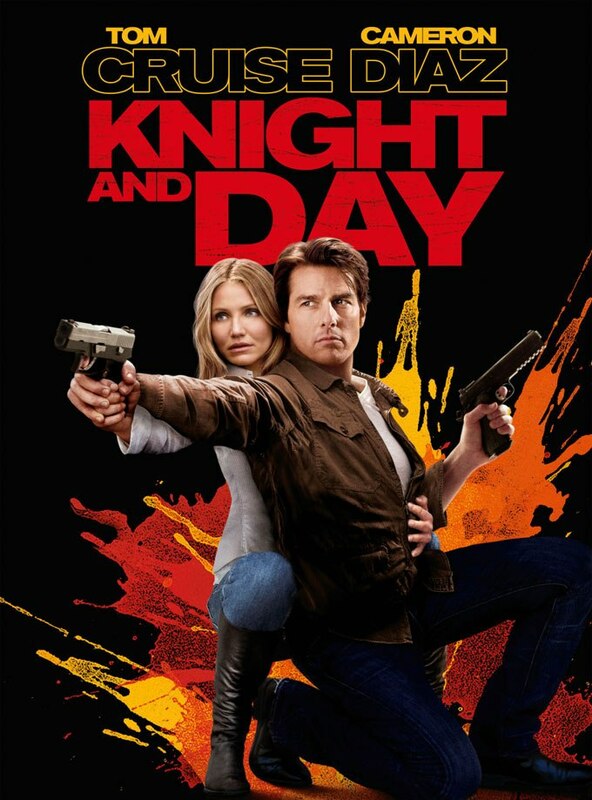 A far cry from the original version, this one is more like a mismatch buddy comedy than an actual super hero movie. The first scene (aside from the prologue) sets the meta tone for the movie. Two villains meet in the back room of a night club and attempt to intimidate each other. What do they talk about? How many men they each have? Guns? No! They critique each other’s image and marketing. “You need a better name!” “Well you need a better suit!” By now we all know what kind of movie this is going to be. Much like the villains, our heroes decide to be such almost by accident. The new Britt Reid (Seth Rogen) is the irresponsible son of a millionaire newspaper owner (Tom Wilkinson), who spends all his time partying. After his father’s death, Britt hates being overshadowed by his legend. He meets Kato (Jay Chou), who used to work for Britt’s father and also didn’t like him. After a few beers one night, they go out to vandalize Britt’s father’s tomb. Since this is a movie, they just happen to run across a couple being mugged by several men. Through his impulsive heroism Britt manages to piss the bad guys off, before Kato puts them all in the hospital (Britt lands one punch). They then go home and get really hammered. Britt says to Kato “We’re wasting our talents! We could be heroes.” The rest of the dialogue boils down to “sure, why not? We just need a cool name! And better suits!” Thus begins the battle of image between heroes and villains who strive to be cooler than each other. I won’t mince words; The Green Hornet is definitely stupid. It’s saving grace is that it knows it’s stupid, and remembers to make fun of itself, rather than insult its audience. There are a lot of funny moments here that I won’t spoil, and some great action sequences (Refer to Mythbusters for the question of whether any of them could happen). 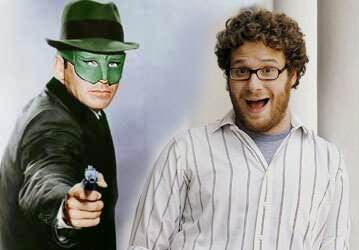 Seth Rogen with the real Green Hornet. On the other hand, Rogen’s Britt Reid is hardly hero material, being propped up by Kato throughout the movie. What’s more, the relationship between them seems pretty forced, changing from standoffish strangers, to friends who call each other “brother,” to hating and punching each other over (what else?) a chick, to reconciliation in time for the big showdown, in a little under two hours. It would have been more effective had Rogen (who also wrote the script) reduced the number of transitions. I guess it boils down to personal preference. When I go to a superhero movie, I expect to be blown away, not to laugh at movie that laughs at itself. I want a real hero, not a wise-cracking bumbler who gets lucky a lot and has his sidekick do all the work. 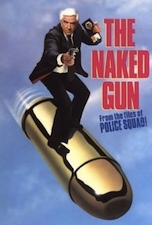 If you want a movie you can have fun with and not take seriously, check this one out. Don’t bother with the 3-D.
I’ve heard all the rumors surrounding the pain and sweat (and multiple writers) that went into getting this movie to the screen. While I’m sorry to say the final product isn’t a masterpiece for anyone involved, it does what it can. I wonder how many writers it actually takes to deliver next to nothing as far as the plot goes. 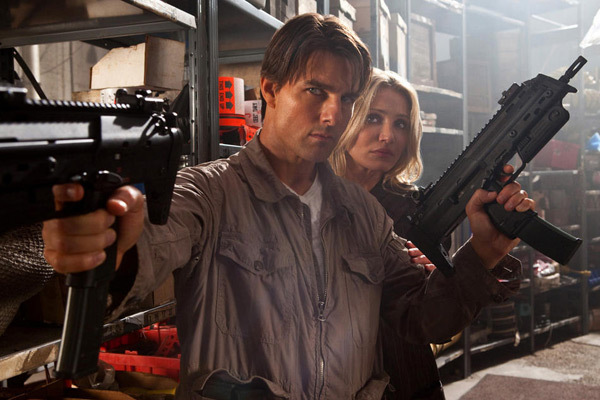 Seriously, the plot seems to be recycled out of Cruise’s own ‘Mission: Impossible III.’ The punchline of a star turns the punchline on the audience, playing an eccentric and wildfire secret agent, Roy Miller, involving an unsuspecting mechanic, June (Cameron Diaz), in the middle of a one-man war against the F.B.I. (or so they claim they are). Why is Roy on the run and bagging a bunch of other agents with machine guns? Well, because they are after a new scientific breakthrough that can antiquate the world’s primary energy sources, and Miller may be out to protect it–or steal it. For better or worse, June is Miller’s captive, and no matter where she runs, she can’t escape trouble. To her own dismay and hesitation, she bargains for Miller’s ‘protection’ as he sends her into firestorm of one-man army battles involving warehouse shootouts, freeway chase shootouts, and jumping out of airliners probably involving shootouts. If you want action, you have action and then some. Saving this mess of a script is primarily Cruise, whose charisma and self-parody adds a necessary charm and hilarity to the proceedings. The man knows his current public image, and the only way to absolve it is to acknowledge it and play it up for all it’s worth. There’s little to no depth to the character of Miller, only a lunatic surface that could be real or fake. Let’s face it, he’s a secret agent and everything he does is for a reason. Maybe he’s not crazy, but he spends most of his time killing off enemies in the most outrageously dangerous fashion at his disposal. In fact, I think many audiences will be surprised how violent the film is. Cruise acts like he’s finished a load of laundry after killing off 30 assassins. 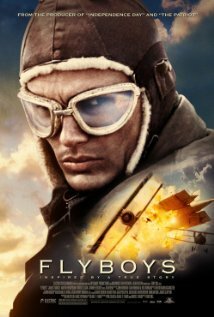 Diaz starts out shocked by all the chaos early on in the film’s opening sequence where Cruise single-handedly takes out a plane full of killers and proceeds to land the airliner. 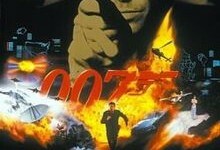 Gradually she becomes engulfed in her secret agent boy toy and eventually finds herself taking part in the mayhem. Comedy holds it all together, as Cruise and Diaz riff off each other quite nicely. They don’t so much create characters as much as exchange banter and crooked looks. Surprisingly, that’s enough to keep “Knight and Day” in check. The romance goes out the window–there’s no wild passionate love scenes or heated chemistry between the two–they simply coexist in this whacked out adventure.